Hey all,I’m having an issue with my landlord and am looking for help. I’ve been referred to the person who I’ve included in the picture but with doing my due diligence I discovered he’s not a lawyer which means his services are not regulated and covered by any consumer protection law. I’m a single mom with not a lot of extra money to waste so I’m hoping to find out by any of you folks if this guy is legit or not. Next story Theft caught on video. Help identify! You don’t need a lawyer to go through the landlord and tenant board of Alberta. I have been a landlord and tenant for a long time. It’s a pretty easy process to do on your own. 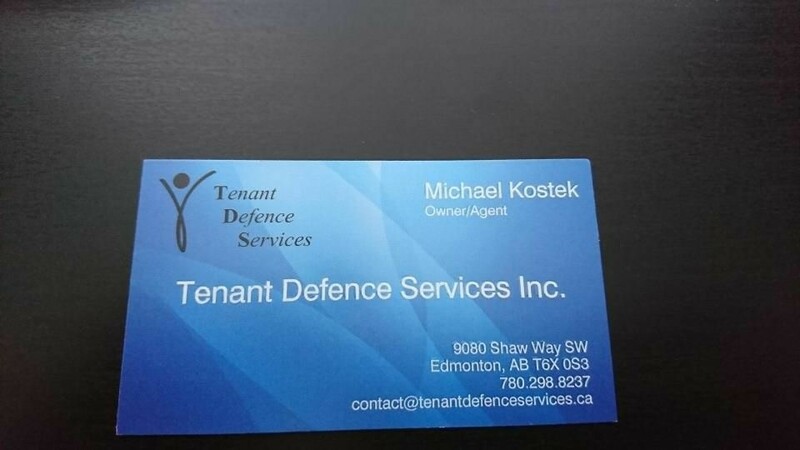 I would say this guy is a fraud and to contact landlord and tenant of Alberta and they will help direct to to the correct way of dealing with your situation. Land Lord and tenant act deals with their issues in their own court of law and does not fall under the provincial act and everything can be handled through fax and phone. Call the landlord and tenant advisory board. They will help you. Generic and most often useless info.. I would caution you to avoid calling people fraud when in fact they are not. We are a incorporated company in alberta licensed by the city of edmonton and fully insured. Please check out our website to read testimonials from people that have used our services previously and our related Facebook page. The Residential tenancy dispute resolution service regularily refers tenants to us. I invite you to contact mike directly and speak to him about your problem and how he can help. He is legit and not a fraud. I know him personally. No he is not a lawyer as that would cost you a lot more. A lot of people get overwhelmed at the whole experience and do not understand how to go about dealing with crappy landlords. He helps you through that process for a reasonable fee. I have referred him to my friends. I am certainly not a fraud I have been representing tenants for quite some time now with excellent results. While it can be an easy process it certainly can’t be totally done via fax or phone and some people do find it intimidating. I am not a lawyer but I am very well versed in the Residential Tenancy Act of Alberta and the Rtdrs process. My fees are very reasonable and my series include representation document service. I operate an incorporated company that is licensed by the city and am fully insured. If you would like to discuss your case further and how I may be of assistance please give me a call. I am currently dealing with a bad landlord. I called Mike and he has taken much of the stress out of the problem for me. What I have paid is confidential but I will say that this amount is very reasonable. I am also aware that Mike has a very good reputation with the staff at R.T.D.R.S. and is viewed as very professional.